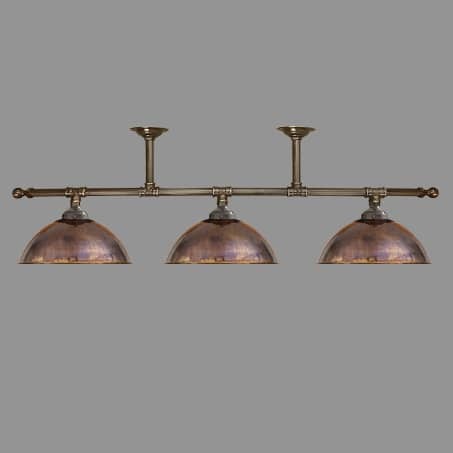 Lighting Pendant 3 Light Bar Copper Dome shades. Manufactured and designed by David John Lighting Company in our Manchester UK based Design Studio and workshop. This pendant is shown with fixed rod suspensions, but can be manufactured with chains should you wish. All versions can be manufactured to suit your requirements.